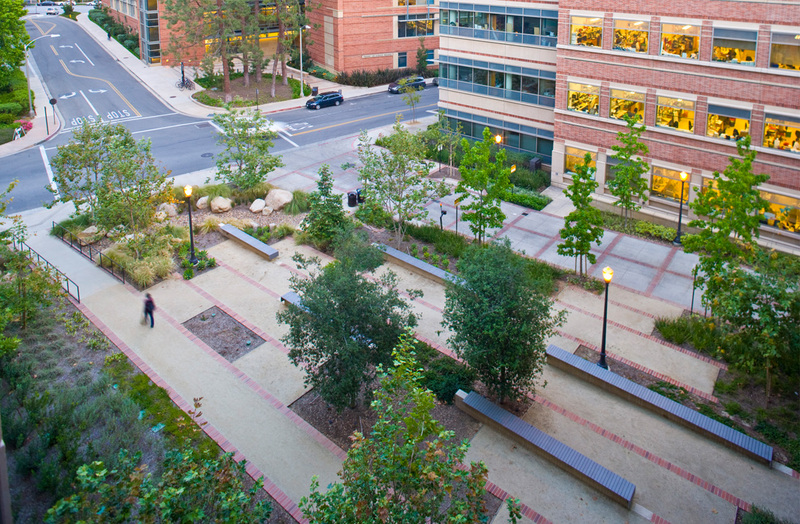 Lewis/Schoeplein was asked to transform a vacant parcel adjacent to the Molecular Science Building from a construction staging area into a garden that could be used by students and faculty. The design uses the geometry of adjoining spaces to create a series of paths that direct users through and across the space, and introduces rows of linear benches that can be used as a gathering place or for outdoor classes. 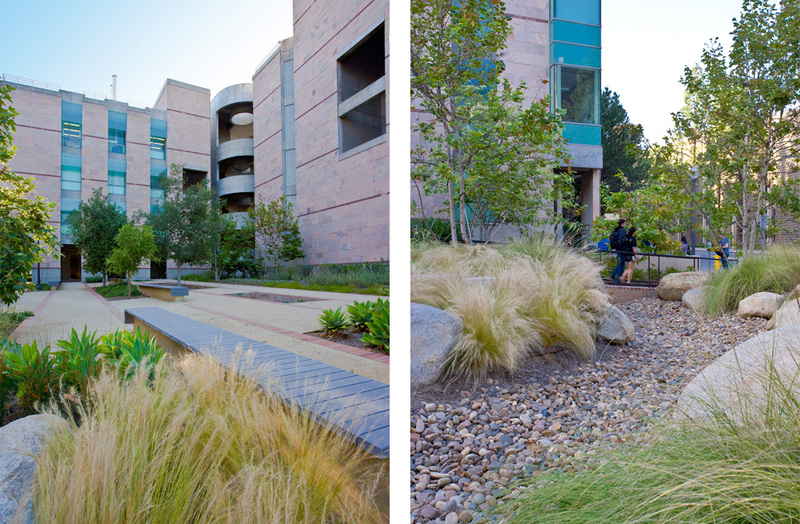 The landscape design, in keeping with the University’s green building standards, features drought-tolerant and native California plantings, recycled materials for built elements, and includes a rock swale to catch and retain water from the site. 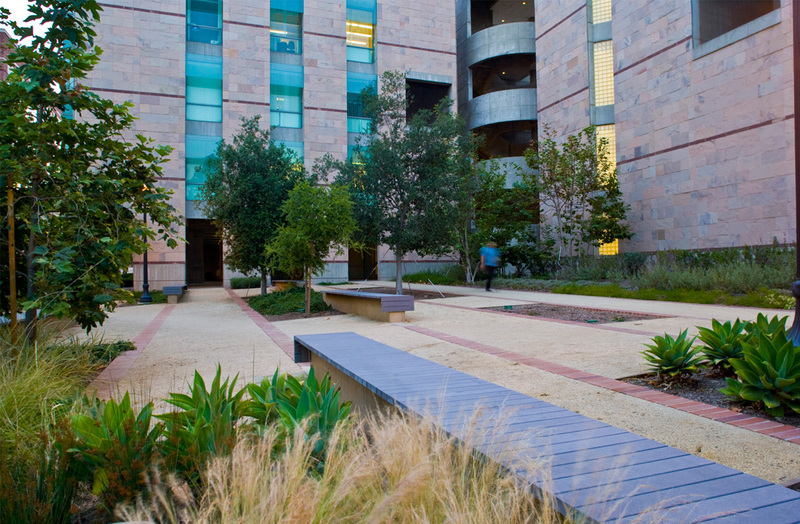 Project team included Katherine Spitz & Associates, Landscape Architect.